Matt Maerowitz grew up in Arizona and went to high school at Brophy. He received his undergraduate degree in economics from Boston College and later graduated from law school at the University of Arizona. Matt Maerowitz’s practice focuses on DUI, criminal defense, and personal injury cases. Before co-founding the Maerowitz Law Firm, LLC, Matt worked for a Scottsdale law firm where he drafted numerous criminal defense motions, primarily in DUI cases. Matt also worked for the Pima County Attorney’s Office as a student-prosecutor during law school. Matt’s experience with both sides of criminal law cases has helped him anticipate arguments from the prosecution in order to prepare the best defense for his clients. 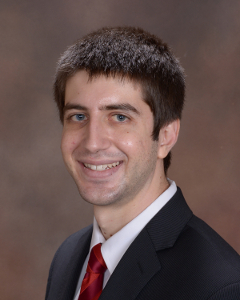 During law school, Matt Maerowitz was recognized for several accomplishments. He was recognized for his excellent oral advocacy skills as a member of the University of Arizona’s ABA National Appellate Advocacy Competition Team. Matt was also a Managing Editor for the Arizona Journal of International and Comparative Law. Matt Maerowitz’s office is located at 2415 E. Camelback Road, Suite 700. Matt does not charge for initial consultations. If you have a DUI, criminal defense, or personal injury matter, contact Matt at 602-912-5897.